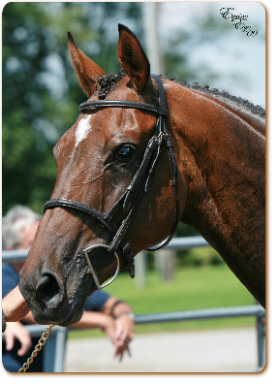 This is for Gran (barn name Xena) was born April 26, 2001. She is by Birdonawire and out of Spiritofessa. 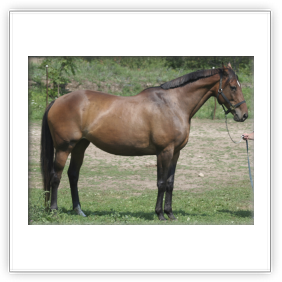 Xena is a 16.1 hand bay Thoroughbred mare. 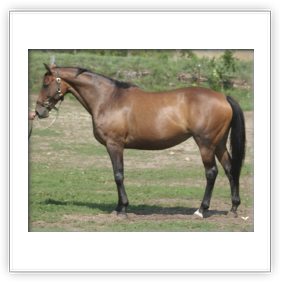 She is a solid mare with a wide chest and deep heart girth. This is for Gran has gorgeous hunter movement and possess a presence that makes her stand out in a crowd. This is for Gran is registered with the Jockey Club and was entered into Mare Book I when she attended the Rheinland - Pfalz - Saar International inspection in 2009. 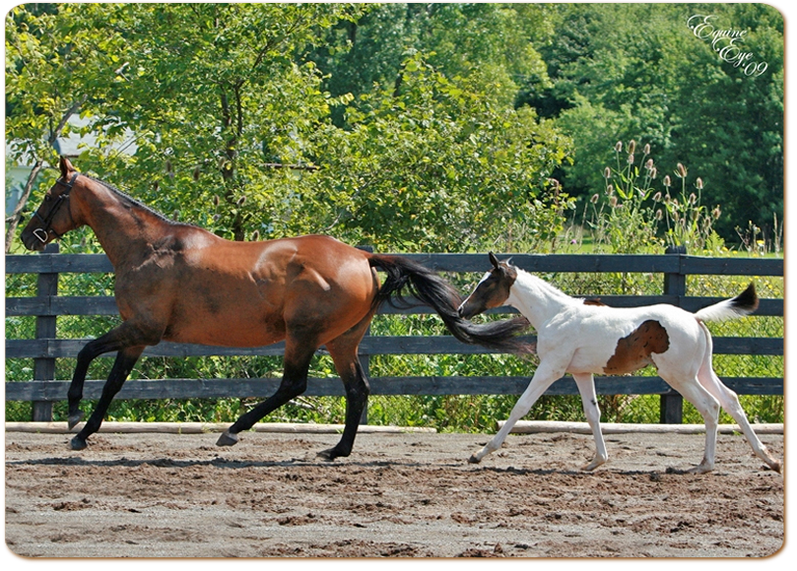 Since Xena has arrived at Pennylane Farms, she has produced three foals. 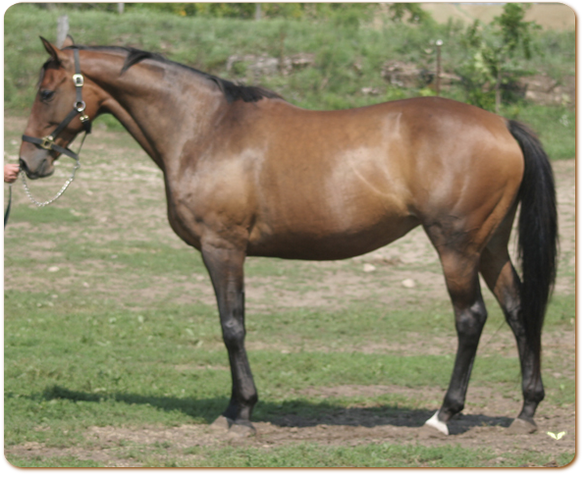 In 2006, she had an awesome palomino filly, Annie Up the Gold. This filly was by Guaranteed Gold and now resides in Arizona. 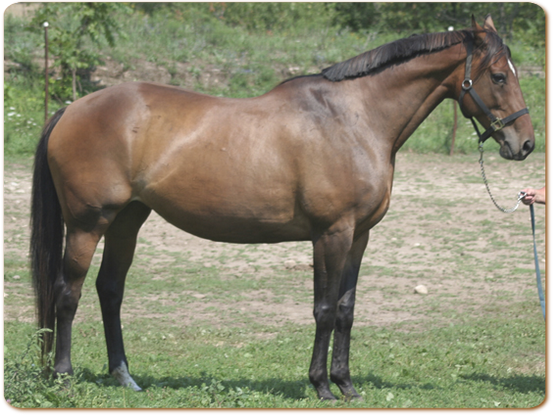 In 2008, Xena had another awesome filly by Guaranteed Gold. This time the foal was a buckskin called Copper Twist. This FCF filly, Grande Finale, went Premium Silver at her RPSI inspection.